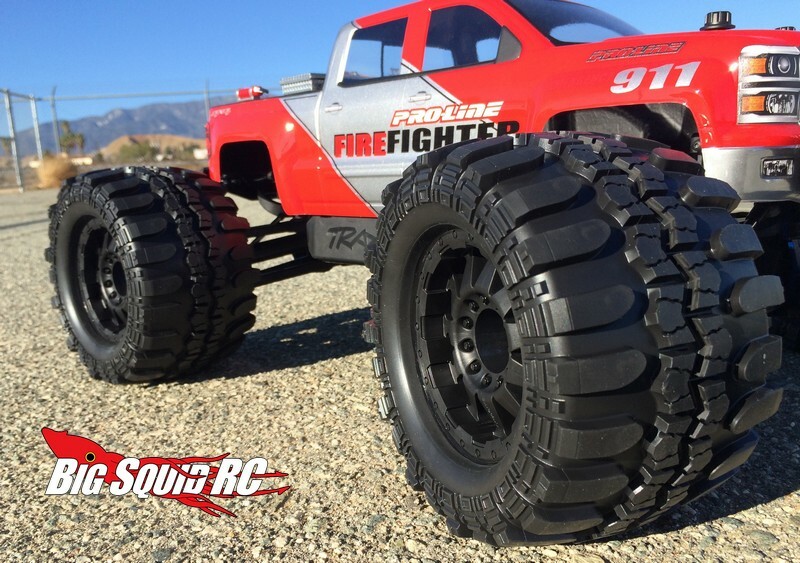 Teaser – Pro-Line Interco TSL SX Super Swamper 3.8″ Tires « Big Squid RC – RC Car and Truck News, Reviews, Videos, and More! Everybody wants scale looks now days and Pro-Line is once again leading the pack by offering a scale type tire for Traxxas 3.8″ sized wheels. The PL crew has leaked a picture of their upcoming 3.8″ Interco TSL SX Super Swampers. These bad boys should add some nice scale detailing to your monster truck and increase traction as well. The part number and price will be released in a few days, until then you can hit up This Link to check out all the cool products on Pro-Line’s official website.